The Innovation Mission: Fighting Poverty with Big Ideas selected five fellows with plans for innovative projects to disrupt the cycle of poverty. This newly launched initiative from the Sisters of Charity Foundation recognizes that one big idea could change everything. Over one-third of Cleveland’s residents live at or below the poverty level. What a difference a big idea could make in Northeast Ohio. Will one (or more) of the fellows’ ideas be the one that changes everything? The application period for The Innovation Mission is closed. The below information is for archival purposes only. The four fellows will gather for orientation on Thursday, Oct. 19, 2017. The fellowship officially launches in November. It is designed as a comprehensive initiative to help you sharpen your idea, work together to improve it, and prepare it to have an impact on Cleveland. Though you work independently on your project, you are not alone. You will spend time working in a peer-learning environment with the three other fellows. You also will be participating in professional development workshops led by Dennis F. Beatrice , an independent consultant and senior adviser at SRI, which is a nonprofit research center that turns bold visions into real-world products and practices established by Stanford University in 1946. The fellowship is an 18-month program that includes 12 months for research and development and six months for piloting and raising money to implement the idea. Fellows commit no fewer than 2 weeks (10 days) per quarter and 12 weeks (60 days) total over the course of the fellowship. The 12 weeks includes scheduled professional development workshops in a peer-learning environment, as well as time for the fellows to independently strengthen, design, and implement their ideas. Submit a final report at the end of the fellowship, focusing on progress made in bringing the idea to the community. This report will be available to the community. 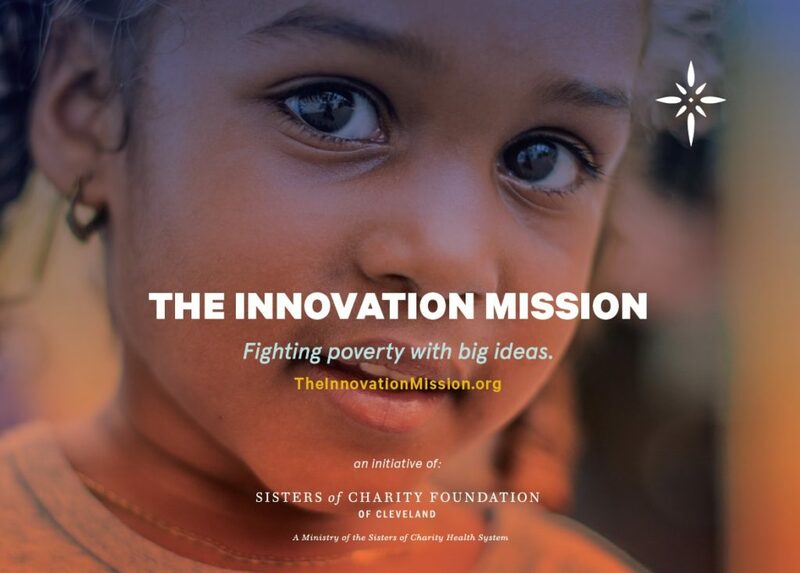 The Innovation Mission seeks passionate, seasoned professionals who have a strong, innovative idea to improve the lives of City of Cleveland residents living in poverty in significant and measurable ways. Evaluation of applications will give equal weight to the strength of the idea and the qualifications of the applicant. * Individuals not employed by a qualified organization may inquire with the foundation about their eligibility. Benefit a neighborhood in or the entire city of Cleveland. Clearly articulate an important problem facing the materially poor in Cleveland with evidence to support its significance. Propose a new approach or a new way of thinking about an existing approach to address the identified problem. Be able to have a measurable impact on a target population. Reflect an understanding of what has been tried in Cleveland and elsewhere to address this problem. Detail how the proposed approach is an improvement on what is being done. Clearly state how the idea will be developed and built out during the fellowship period to prepare for implementation in the community. Reflect an understanding of the potential barriers to implementation as well as potential opportunities to build on for success. Contact Margaret Eigsti, program officer at the Sisters of Charity Foundation of Cleveland, at 216-357-4462 or meigsti@socfcleveland.org.